Did you know you have a whole world of possibilities in your yard? 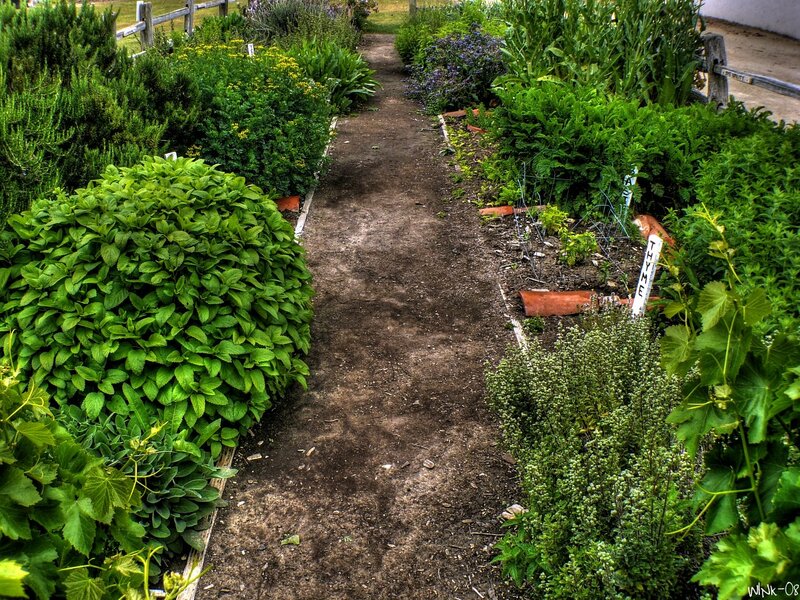 For a minor investment of time and money, you can start your own herb garden. Herbs have been commonly used in everyday living for thousands of years. You can take advantage of herbal benefits to disinfect surfaces, better your health, and enhance nutrient-rich foods. In this post, we’ve taken some of our favorite herbs and shown how to incorporate them in your everyday routine. Rosemary is more than a cooking herb. Even though adding rosemary to your meat before cooking lowers levels of heterocyclic amines (strong carcinogens connected to several cancers), you don’t have to eat rosemary to receive its benefits. For example, you can repel pesky mosquitos with rosemary. Simply grow it where you don’t want mosquitos to hang out, like a place where you entertain guests or your front porch. 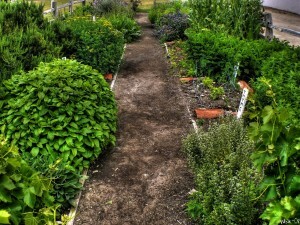 You could also plant some in commonly used walking areas, like the side of your home or the walkway to your front door. No one likes mosquitos, so use rosemary to deter them. To create your own all-natural homemade repellent, add rosemary and lavender essential oil to a base of witch hazel. So simple! Not only is rosemary a great home insect repellent, but it also encourages hair growth, eliminates dry scalp and dandruff, and enhances your memory and focus. To make a simple rosemary hair rinse, boil a handful or rosemary leaves in two cups of water. Let the water cool and use the rinse in your hair. Most people think peppermint is just a simple herb used in food, beverages, soaps, and chewing gum, but peppermint is so much more than that. While consuming peppermint helps with indigestion and irritable bowel syndrome, you can also use peppermint to improve your memory and increase alertness. You can add this herb to foods to lower inflammation and improve your breathing. If you use this technique to extract the peppermint’s oil, you can add some to your toothpaste or mouthwash for fresher breath and improved dental hygiene. Having problems with itchy and dry eyes? Simply boil a peppermint tea bag, let it cool, then place it over your eyes for 5-10 minutes. Red clover can provide you with many positive health benefits for your internal systems. People drink red clover tea to unclog arteries and improve their blood flow. If you’re looking to detox, or you want to keep blood flowing to your organs and arteries smoothly, try red clover tea (full instructions here). Gather a bundle of fresh herbs and wrap them in a damp paper towel or cloth. Seal them in a zip-top plastic bag filled with air. Alternatively, you can use an airtight glass jar. Store them in a cool place (your refrigerator is best) for up to 5 days. To maximize freshness, store your herbs stems down in about 1 inch of water. Be sure to re-wash herbs after you remove them from storage and prep them for use. One last tip: when cooking with herbs, heat usually kills the flavor, so make sure you add herbs right before it’s time to chow down. If you want more natural ways to stay healthy and well, call or visit our office. Our phone number is (704) 708-4404. You can also use this form to reach us!